Communication is the absolutely indispensable leadership discipline. But, too often, leaders and professional communicators get mired in tactics, and fail to influence public attitudes in the ways that would help them the most. The Power of Communication builds on the U.S. Marine Corps' legendary publication Warfighting, showing how to apply the Corps' proven leadership and strategy doctrine to all forms of public communication — and achieve truly extraordinary results. One of the greatest routines of American comedy is "Who’s on First" by the comedy team of Bud Abbott and Lou Costello. In this routine, Abbott tries in vain to explain to Costello that Who, What and I Don’t Know are names of baseball players. Although more than 70 years old, the skit never grows old, probably because miscommunication is timeless. 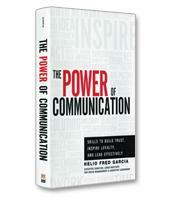 As communications expert Helio Fred Garcia notes in his new book, The Power of Communication, the steadily increasing frustration of Costello is all too familiar for anyone caught in the "feedback loop" of miscommunication. Although subtitled, "Skills to Build Trust, Inspire Loyalty, and Lead Effectively," The Power of Communication is much more than another collection of communication do’s and don’ts. Garcia approaches communication from a strategic perspective — specifically, and with surprising effectiveness, using a required Marine Corps manual on war strategy called Warfighting: United States Marine Corps Doctrinal Publication No. 1. Basing a communications book on a military publication called Warfighting might seem supremely ironic. After all, isn’t war the ultimate breakdown of communication? Garcia, however, is not a business author looking for a new hook; Warfighting has been at the center of his courses on public relations and communication at New York University since he first discovered the book in 2006 while conducting a workshop at the Marine Corps’ Officer Candidate School in Quantico, Va. Even an example as far removed from war as Abbott and Costello’s comedy routine of miscommunication can reveal its lessons through the use of Warfighting. "War," the Marine manual states, "is thus a process of continuous mutual adaptation, of give and take, of move and countermove." In Garcia’s hands, this becomes, simply: "Effective communication is thus a process of continuous mutual adaptation, of give and take, of move and countermove." Effective communicators, he explains, know that they have to adapt to how their audience reacts, what critics say or new developments. "But many leaders act like Abbott and Costello," Garcia writes. "Instead of adapting, they dig in. They persist in speaking the same words in the same way even as the audience becomes alienated, or as the situation changes, as expectations evolve, or as the very meaning of their words become moot." A dramatic case in point, according to Garcia, was U.S. presidential candidate John McCain’s continued insistence that "the fundamentals of the U.S. economy remain strong," even after the stock market crashed in mid-September 2008. The Power of Communication is packed with the principles of Warfighting, followed by the direct translation of those principles into lessons for communication, supported by in-depth examples, mostly drawn from the headlines of the past decade. For example, Garcia translated the Warfighting principle of "minor actions and random incidents can have disproportionately large — even decisive — effects" into "In communication, incremental changes or minor events can have a greater-than-incremental impact on outcomes." To illustrate this lesson, he describes how President Barack Obama lost the nation’s focus and attention on health care reform when he interceded in a dispute between a Harvard professor and the Cambridge, Mass., police. The result of the minor event, according to Garcia, was the eventual dilution of Obama’s signature legislation. At the end of book, Garcia pulls all of his lessons together into nine principles: 1) See communication as the continuation of business by other means; 2) To move people, meet them where they are; 3) Walk the talk; 4) Control the communication agenda; 5) Remember that even small events, changes or blunders can have big consequences; 6) Plan ahead and align tactics with strategy; 7) Invest in continuous improvement in communication skills; 8) Harness the power of language and of framing; and 9) Understand how the human brain works. The Power of Communication is more than a book on communication. 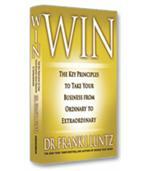 It is a book on leadership, and one that all leaders will find valuable and comprehensive.